Wednesday through Saturday from 11:00 a.m. to 4:30 p.m. 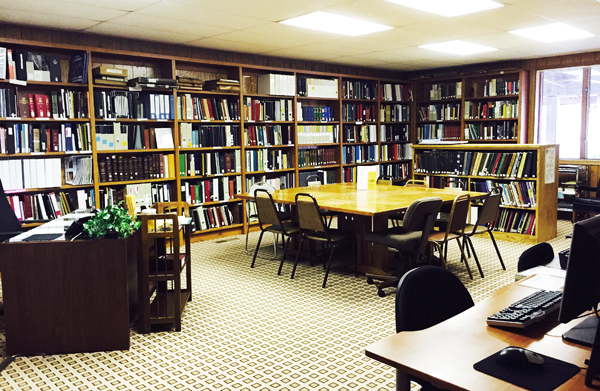 The Genealogical Society of Boone County and Central Missouri calls the Wilson-Wulff Library "home". We are located within the Boone County History & Culture Center, and staffed by GSCM volunteers. We are pleased to conduct brief research, for a small fee, using the holdings we have in our library. For more information please click here. The online library catalog has over 430 entries relating to Boone County records, families, newspaper indexes, etc.. Check back often as we continue to add books to the catalog, including hundreds of family histories. Click here, or click Library Catalog link at left. GSCM Reporter journals 1981 to current.